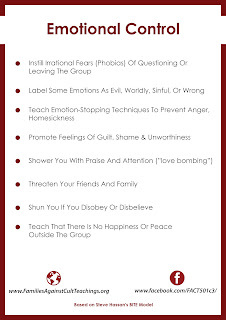 This goes to show how much control cults Try to have over their members, the way they think, the way they act, their thoughts, their emotions and with their family and social connections. 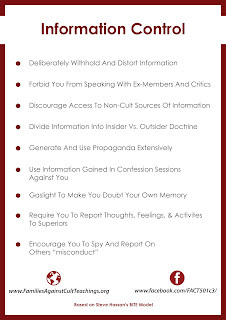 Their tactics, one of which is having a "reporting system" in place, where members report on each other, has zero boundaries, are invasive and Nazi like. 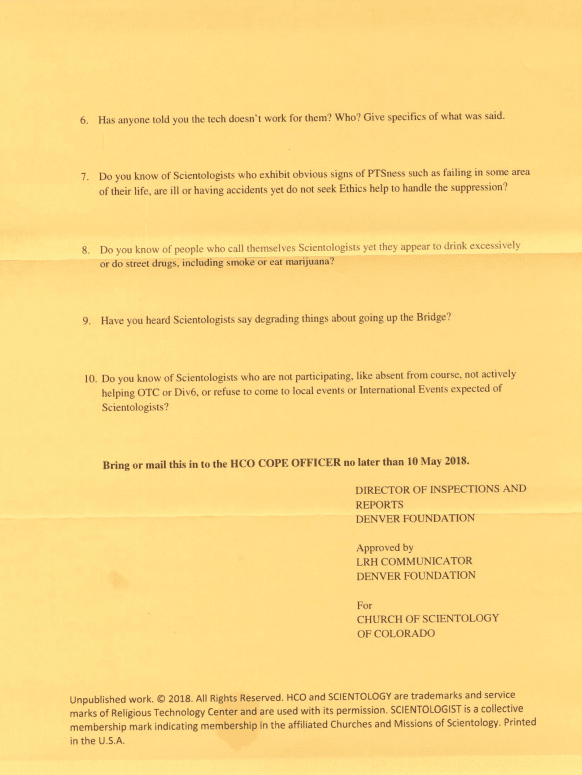 This is a Scientology Interrogatory - a series of questions sent by the Church of Scientology of Denver to a Denver area Scientologist or more likely ex-Scientologist who is trying to stay under the radar. 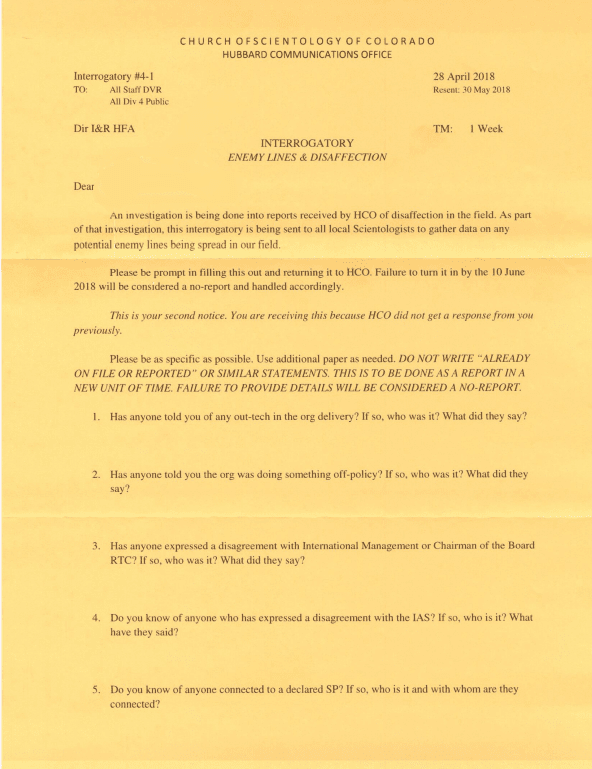 At the end of the Interrogatory it states "Bring in or mail to the HCO (Hubbard Communications Office) Cope Officer no later than 10 May 2018"
This person did not respond to the Interrogatory, likely out of fear of losing family, friends, business connections etc. 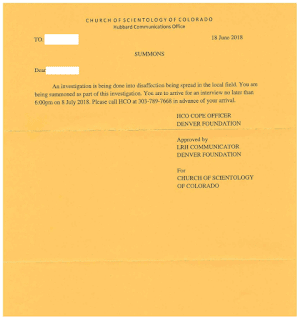 They then were sent a "Summons" by the Church of Scientology Denver. 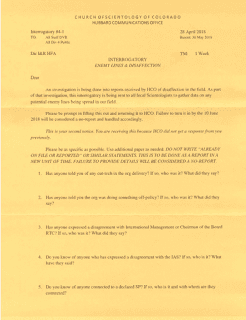 They state: "You are to arrive for an interview no later than 6p.m. on 8 July 2018". If this person does not respond or show up, the next level of handlings will ensue. 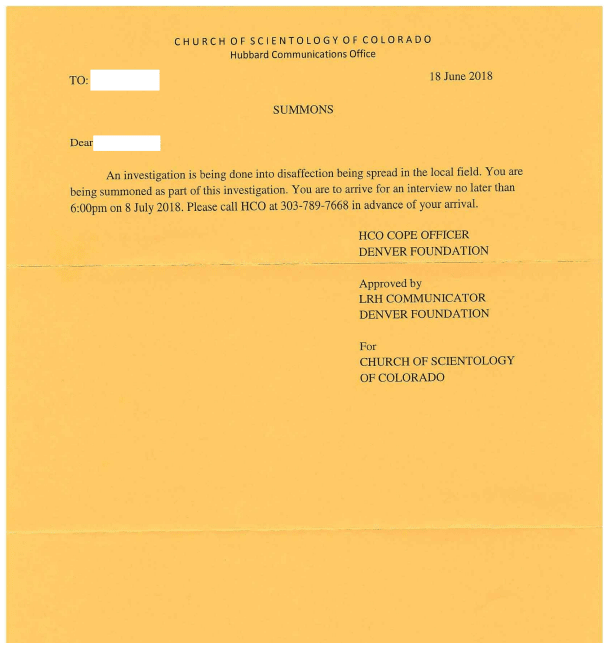 The Church of Scientology boasts about their never ending expansion, year after year and yet they have to interrogate their members as to why there is so much disassociation from members with Scientology. 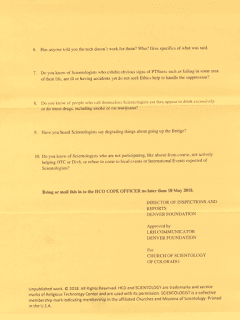 Scientologists are highly controlled - Behaviorally controlled , Information-ally controlled, Thought controlled and Emotionally controlled. 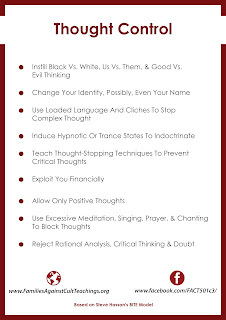 These are common Cult and mind control techniques that keep members under undue influence to stay in the cult instead of leave. When a group or person has control over another in these capacities they gain virtually all control over them. Steve Hassan's BITE Model goes into great detail on these points. 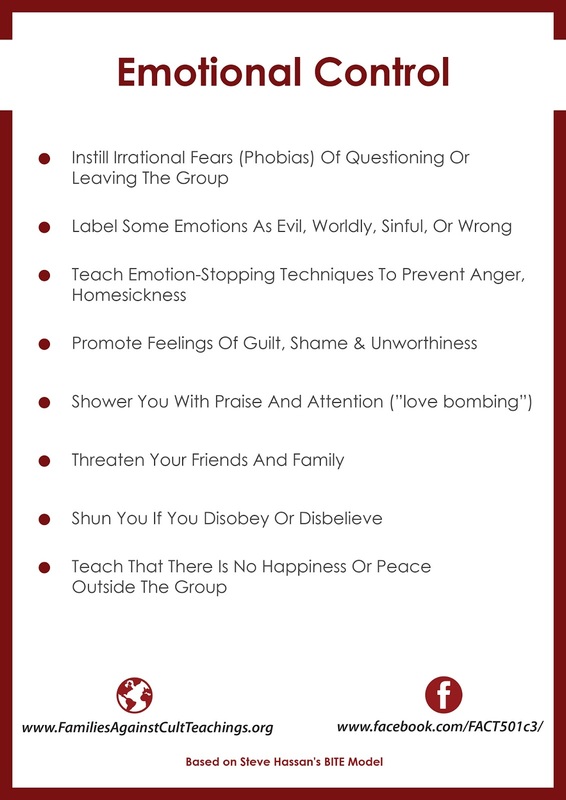 Cult members have no idea, no education on these topics. 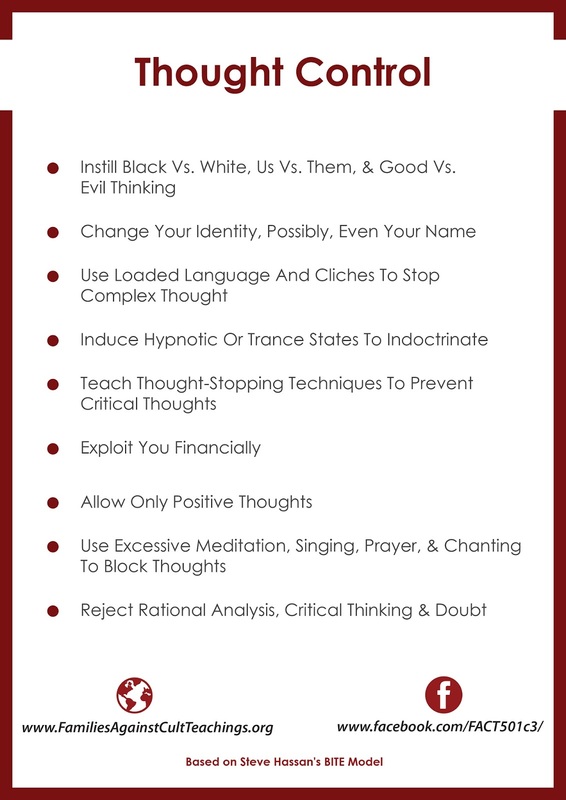 If they are in tune with themselves, their true identity in the least, they will at least feel Cognitive Dissonance from time to time - which can be very conflicting for them. 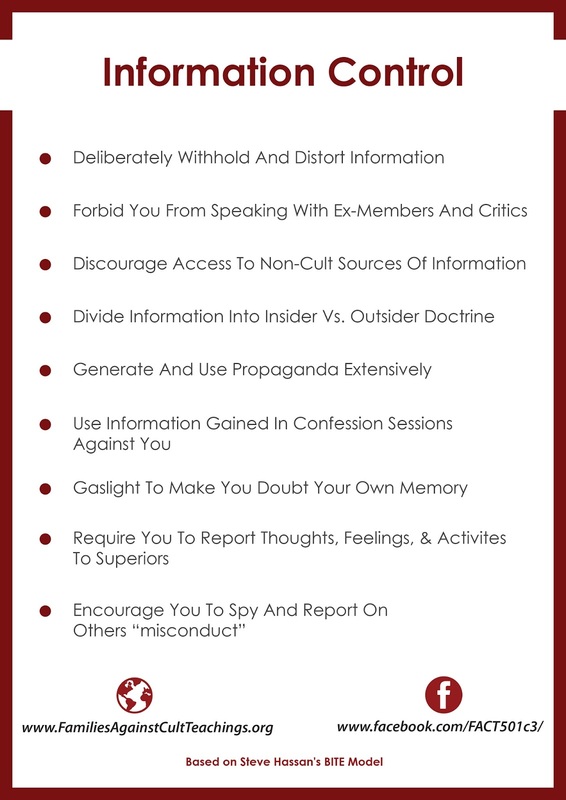 Watch Out Cults and Predatory Personalities - you may have your current membership controlled, but society at large is being educated and more and more youth, who you primarily target, are being armed with the knowledge to walk away when you and your brainwashed members approach them. Please share with everyone you know so more people can get the education and awareness needed about these topics. It Saves Lives!